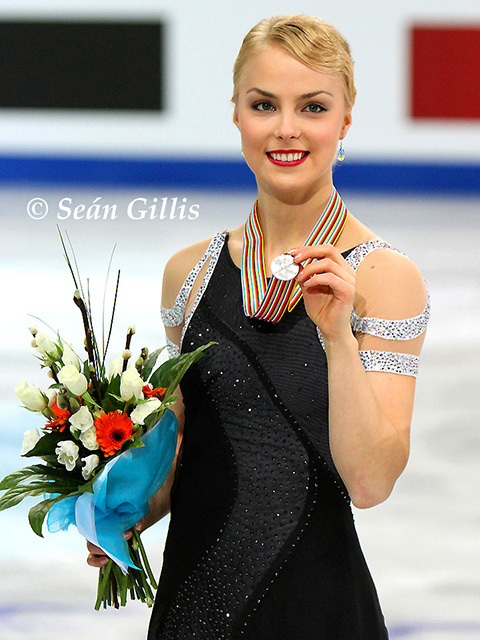 It had been almost two years since Kiira Korpi had stepped out onto competitive international ice (when she finished fourth at the 2012/2013 Grand Prix Final in Sochi) and after a frustrating hiatus imposed by injury the Finn’s smile couldn’t have been brighter at returning to competition at Golden Spin in Zagreb. The three-time European medallist got off to a cautious start in the short where she placed short after issues with her triple flip and triple loop/double toe loop combination. Despite only landing two clean triples in her free, she was able to pull up to first place overall and claim gold with a total of 167.81. In the process, she also cleared the technical minimum requirements for entry into the European and World Championships later on in the season. The overnight leader Maria Artemieva narrowly failed to hold off Korpi with her total of 166.48 and had to settle for silver. Nicole Rajicova of Slovakia took the bronze. Denis Ten also had a good weekend as he scored a new personal best of 92.51 for his flawless short programme and then ended up winning his first title of the season. While his free was not as stellar as the short with two doubled triples, a step out of triple axel and another singled, it was good enough to give the Olympic bronze medallist gold in Zagreb. Michal Brezina nabbed the silver, but his score was good enough to propel him to the top of the ISU Challenger rankings in this the last event of the series. Third place Konstantin Menshov also finished in third in the Challenger series standings. The pairs competition was comfortably won by Kristina Astakhova and Alexei Rogonov from Russia, although Valentina Marchei and Ondrej Hotarek’s silver was incredibly impressive given that Marchei is a newcomer to pairs and the couple have only been skating together for just six months. Tarah Kayne and Daniel O’Shea won bronze. There was dead-tie for first after the short dance between Charlene Guignard and Marco Fabbri and Madison Hubbell and Zachary Donohue who both scored 66.40. The Italians were placed first given their superior technical score. It was pretty close in the free as well, although this time the Americans emerged as the winners by 0.28 of a point. Hubbell and Donohue’s total score of 166.74 was the highest for any team during the Challenger Series with Guignard and Fabbri obtaining the second best. The Italians ended up second overall in the series rankings. Sara Hurtado and Adria Diaz came in third. Gracie Gold became the first casualty on the entry lists for the ISU Junior/Senior Grand Prix Final when she was forced to withdraw with a stress fracture in her left foot. The U.S. champion sustained the injury on her way to victory at the NHK Trophy in Osaka. She will be replaced in Barcelona by Rika Hongo. Japanese women have now appeared at every Grand Prix Final since the 2001/2002 edition. Europe on Ice will be in Barcelona, so look out for our coverage here, on Facebook and Twitter. In the meantime, check out our preview video and “Five Things You Must Do In Barcelona” article. 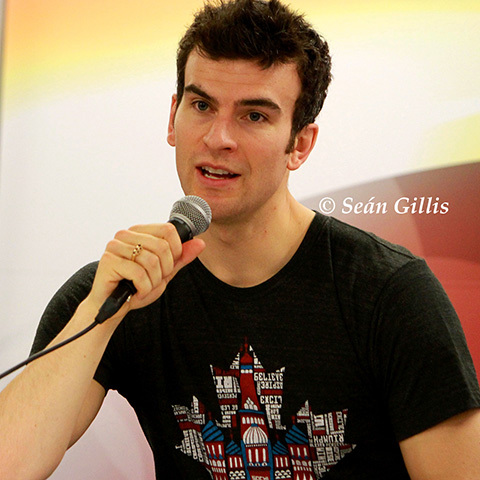 In an interview with OutSports.com, Canadian pairs skater Eric Radford announced publicly that he is gay for the first time. The 2014 Olympic silver medallist in the team event with partner Meagan Duhamel is the only out skater currently competing. Radford also revealed that he is in a long-term relationship and is helping his boyfriend raise a teenage daughter. The ten event ISU Challenger Series concluded this weekend with the Golden Spin in Zagreb, Croatia and the top three skaters/team with the two combined highest scores in each discipline will be awarded with prize money.